While scouting and collecting veggies for the fermentations upcoming the next week I went through the couple of local farmer’s markets. 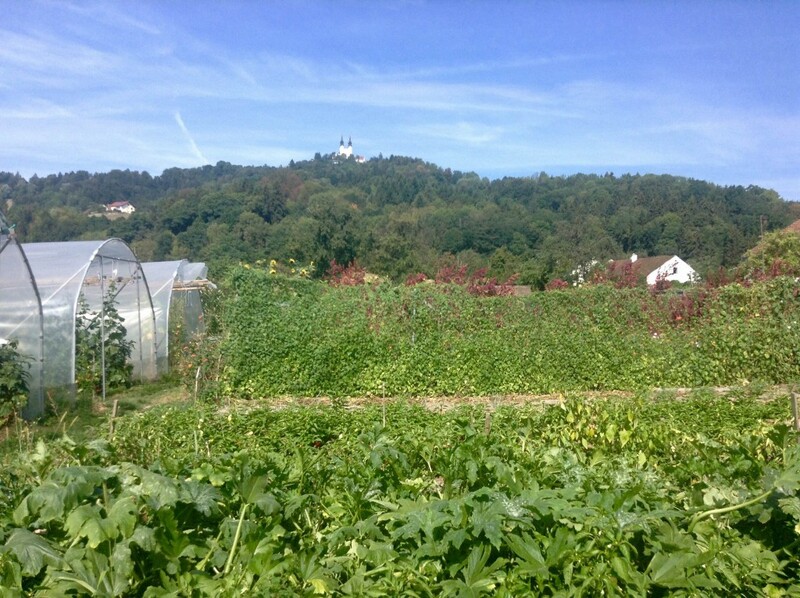 Guided by the irreplaceable Vicy we went to located on the edge of Linz bio-farm Leisenhof Gärtnerei and Theresiegut Bio-Laden where growing veggies goes hand in hand with socialization of disabled people. On our way to the local food market in neighboring town of Ottensheim we’ve even managed to drop by Northern African refugee camp and together with people living there assemble some furniture for their use. Each of those places (whether devoted to growing plants in a sustainable way, bringing socially excluded people by disability or country of origin back to their dignity) is about the process of slow and steady change, which often frustrating because of not immediately visible effects, in a longer term makes an undoubtable difference, the same as fermentation does. After such spent day I had not much more energy than just to put together 0,5l of water and 500g of wheat flour. 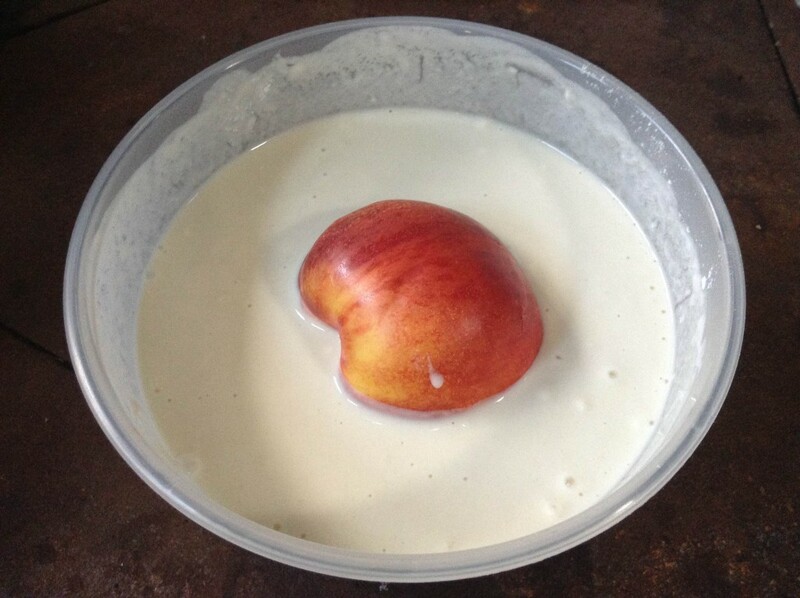 After stirring both vigorously I’ve put in there unwashed, whole nectarine bought today in Ottensheim (any smaller, organically grown fruit with eatable skin would do but this is what I had). That’s the trick which I hope will introduce wild yeasts into a mixture and will turn it in to vivid sourdough starter. The bowl with the mixture covered by the light towel (to keep out flies and allow the free circulation of air) is placed in a sunny spot during the day and a warm room during the night. In the following days I’ll keep stirring it as often as I remember to distribute yeast activity and stimulate the process of fermentation. In couple of days tiny bubbles releasing at the surface of the batter should appear. If that becomes evident I’ll remove the fruit and feed the sourdough with 2 tablespoons of flour every 3-4 day (some water can be added too if the mixture gets too solid). Hopefully a thick, bubbly starter is ready to use during stwst48.